Kernels of Wheat Episode 6 – When Is Walking More Than Walking? 006 Kernels of Wheat – When Is Walking More Than Walking? Show Notes for Kernels of Wheat Episode 006: When Is Walking More Than Walking? Teaching and Bible Study notes by Jim Kerwin. Passage for this episode: 1 John 1:5 — 2:2 , focusing on “walking” in 1:6-7 . 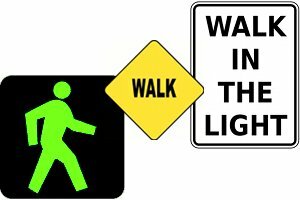 How are we to understand “walk in darkness” and “walk in the light” in vv. 6-7 ? Genesis 5:22,24 Then Enoch walked with God three hundred years after he became the father of Methuselah… Enoch walked with God; and he was not, for God took him. And Enoch was well-pleasing to God, after his begetting Mathusala…And Enoch was well-pleasing to God, and was not found, because God translated him. [This is the correct ref­er­ence; a typo in my recording notes read “5:9”] …Noah walked with God. …Noe was well-pleasing to God. If you'd like to look into these and other Scriptural mentions of walking further, you can download the extensive Bible study on walking from this link. If you would judge of the lawfulness or the unlawfulness of pleasure, then take this simple rule: Whatever weakens your reason, impairs the tenderness of your conscience, obscures your sense of God, and takes off the relish of spiritual things—that to you is sin. Download the recording for free from KernelsOfWheat.com/Arbiter-Audio. Read the chapter from which the recording was made: KernelsOfWheat.com/Arbiter-Article. Your feedback is appreciated. 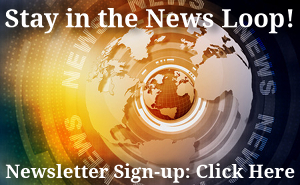 Leave a comment (below) or drop us an e-mail. More teaching by Jim Kerwin and others can be found on the Finest of the Wheat website.